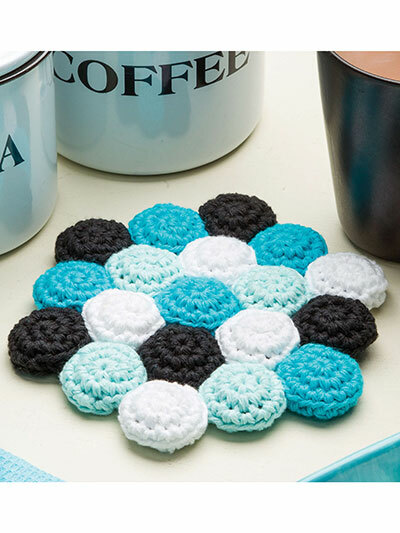 The little motifs in this hexagon-shaped trivet are created by crocheting over bottle caps. 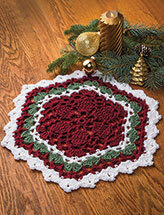 This method creates a durable and thick hot pad. 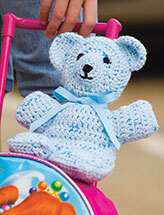 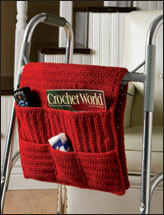 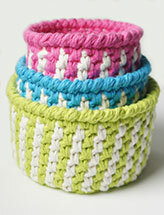 Crochet with worsted-weight yarn using U. S. size H/8/5mm crochet hook.